The Silks Poker Room at Tampa Bay Downs is now offering a “big blind ante” format at select Texas hold ‘em tournaments. This new variation of tournament play, also known as BB Ante, has proven very popular in high-roller testing at events like the World Series of Poker, and Silks is excited to bring this new format to Tampa and cut down on the wasted time between hands. 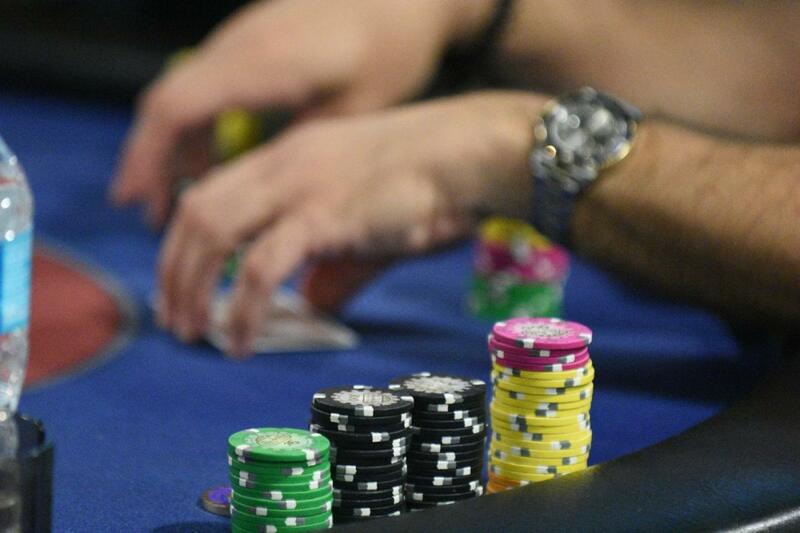 In a normal tournament, everyone at the table pays an ante before the cards are dealt. This can really slow down the game, as people forget to ante in and argue with each other about who paid and who didn’t. With a big blind ante game, the big blind posts the antes for the entire table, along with their own big blind. As the dealer button rotates, everyone at the table takes a turn paying the antes. The cost per round is the same, and it speeds up the game so there’s more time for action and betting. Silks has added big blind ante tournaments to their regular schedule every Wednesday evening. There’s a $100 buy-in and a $5 house fee, with cards in the air starting at 7:00 p.m. Silks is also offering Saturday matinee tournaments with the same setup on September 8 and 22, starting at 1:00 p.m. Finally, every other Monday night, Silks will hold a BB Ante tournament with a $150 buy-in and a prize pool of at least $10,000! The next Monday evening with a BB Ante tournament is September 17th. In addition to the new BB Ante poker tournaments, Silks has plenty of bonuses and promotions all month long for poker players! 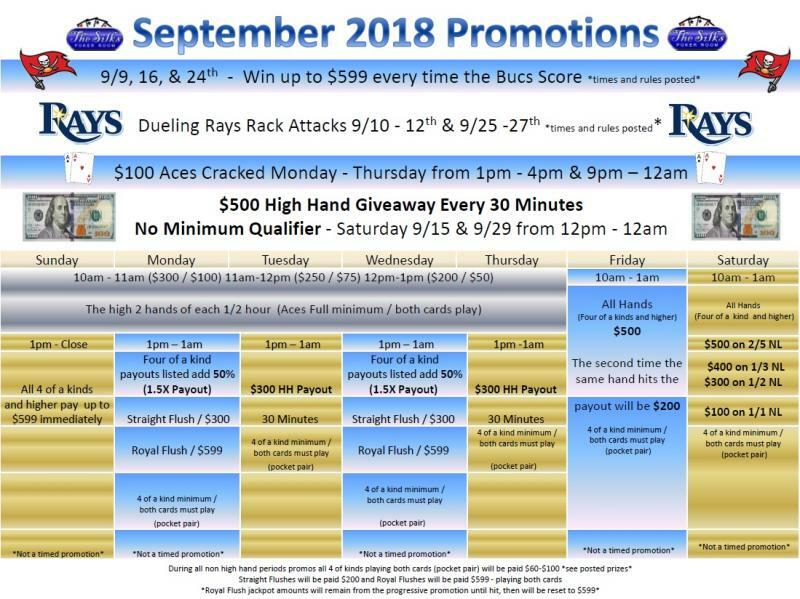 There are high hand bonuses, four of a kind and straight flush bonuses, “aces cracked” bonuses, plus special giveaways when the Tampa Bay Buccaneers and Tampa Bay Rays are in action during September. Check out the promotional calendar and the posted rules in the Silks Poker Room for more details. Whether you want to give the new BB Ante format a try or play your favorite tournament or cash game, come out to the Silks Poker Room for the hottest poker action in Tampa!